The patient's clinical history and lifestyle are underutilized diagnostic tools. That is why we take time during your initial evaluation to collect the pieces of your health history in depth. If you have a specific illness, there will be time to focus on it. However you can expect questions that span all body systems, but they will likely be asked differently than you're used to in conventional medicine. Time and time again, health history details have proven useful for our clients. If you provide medical records, these will be reviewed at the time of your visit. Do not be concerned if you feel unwell and your blood work says you are "completely fine". We treat patients, not blood work. There will be a comprehensive physical exam based on details of your health goals and your history. 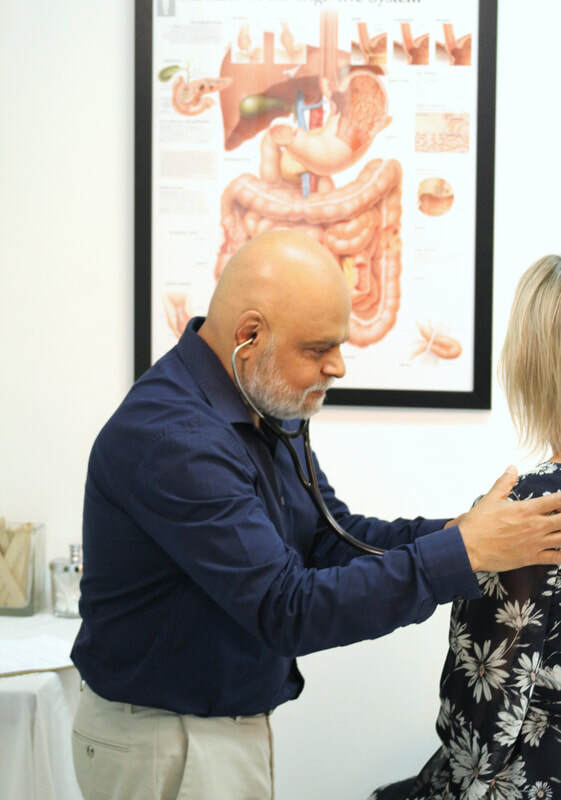 Following that, typically there are recommendations for further integrative medicine blood tests which give a powerful and unique take on body system health! Depending on the nature of your health goals, there may be a preliminary protocol provided. However during the second visit, a review of the blood work and progress with the preliminary recommendations will set your health plan into motion. By combining conventional medical practice with Eastern medicine philosophy, and taking the time to evaluate "the whole you", your health and aging outcomes improve. Let Wave help you in the first steps to restore your optimal health today!